Smoothies are healthy and delicious! In just one bowl or jar of a rich smoothie, you get tons of vitamins and nutrients! Smoothies are easy to make and they are filling like a normal food. They are quick to make and are delicious depending on the fruits you choose to use. There are tons of smoothie recipes you can use, smoothie recipes are easy to come by. However, sometimes people make smoothies wrongly because they simply don’t know the key ingredients or how to thicken it. Don’t worry, in this article, we are going to explain the right steps to take to make the perfect smoothie at home! Get all the utensils you will need out, such as a blender, bowl, spoon, cups, etc. Choose your fruits: What fruits would you be using? You can use pineapple and mango, pineapple and coconut, etc. Whatever combination of fruits you want to use, you need to get them prepared for blending. You might need to peel them or cut them depending on the fruit. You can measure 2 cups of your choice fruit or fruit combinations and set it aside for blending. This would be enough for two servings. Tip: Banana and Hibiscus flower (Zobo) smoothie is always on point! Fill your blender or juicer with liquid: You can fill it with about 1 cup of a liquid of your choices such as coconut water, milk, fruit juice, water, or yogurt! This step is important so as not to destroy the blade of the blending machine. Add flavor: This totally optional, you can a teaspoon of any flavor of your choice such as cocoa powder, Vanilla essence, cinnamon, etc. 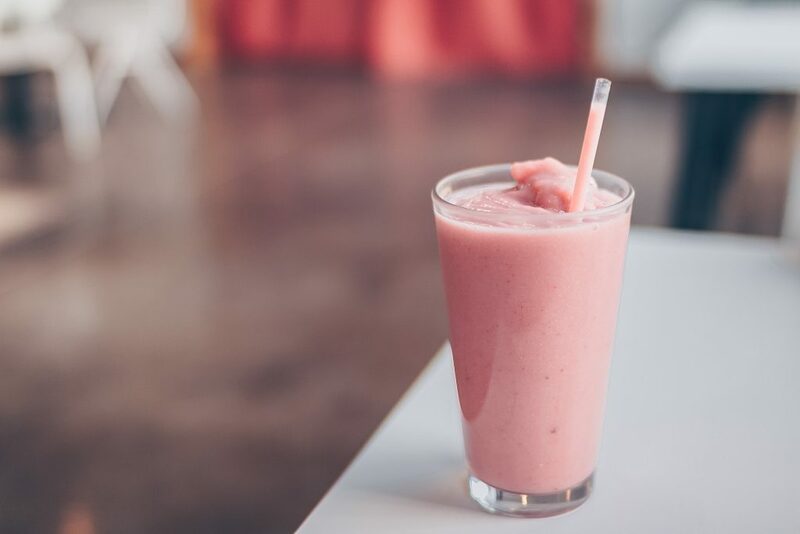 Add ice: Note that the amount of ice you add to your smoothie is how thick you want the smoothie to be, however, you can choose not to add ice if you don’t want your smoothie to be thick or cold. You can add a cup of ice. What are some of your favorite smoothie recipes? Share them with us below!